Arwood Waste Shreveport, LA Division offers a variety of roll-off and construction dumpsters that are ready to meet the needs of any-sized construction or demolition project. From a small renovation or landscape project to a new building constructions, Arwood Waste provides the right-sized dumpsters, a reliable waste hauling service and competitive prices that will keep the project on time and on budget. 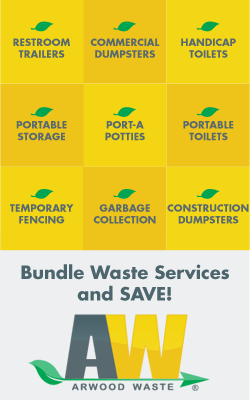 Arwood Waste offers purchase, leasing and rental options for a variety of roll-off dumpster sizes and styles, as well as waste hauling service and maintenance options. Construction dumpsters are priced on the size of the dumpster, the weight of the trash and the costs for hauling the waste. We offer purchase, leasing and rental plans to meet any construction or renovation need. Arwood Waste offers competitive pricing and superior service. Be sure to call Arwood Waste first at 318-918-1443 to get roll off dumpster rental prices or for any other construction dumpster and waste hauling needs in Shreveport, LA. The experts at Arwood Waste can help review your construction, landscaping or remodeling project to make sure you have the size and service that will keep your construction site clean and orderly. On the job site, not only is having the right sized construction dumpster critical, so is having it positioned in the right way to make sure its easy to access and makes tossing waste and debris easy and convenient. If you’re in Shreveport, LA and need a waste removal solution, call Arwood Waste today at 318-918-1443 to rent a dumpster today! Arwood Waste offers both front-load, rear-load, and roll-off commercial compactor dumpsters. With their heavy-duty construction and sturdy design, our dumpsters are ready for any industrial task, big or small. We can provide expert advice on placement, weight limits, hazardous material and other waste management issues. The experts at Arwood Waste can help keep your site up to the highest standards. Ask about our free waste analysis when you call 318-918-1443. At AW Waste , our services involves the total management of all waste and recycling activities for commercial and industrial properties. For each property, we create specifically designed programs that focus on streamlining waste reduction and create value in recyclables, while constantly monitoring equipment and operating costs to increase property revenue. Comprehensive waste audit to determine waste and recycling needs. Implement waste reduction and cardboard recycle programs. Constant monitoring of service levels to decrease operating costs. Custom-designed tenant billing/pad rent programs for each properties needs. New and/or reconditioned equipment at each service location. Equipment is regularly maintained, sanitized, and serviced by us. Regular on-site visits to monitor waste activities. Waste professional to train and educate tenants on equipment and recycle programs. Monthly and yearly waste and recycling reports for each programs specific needs. Up-to-date on city and state recycling ordinances and regulations. Constant auditing of all invoices to ensure accuracy and cost savings. Nationwide relationships with haulers to ensure lowest costs and largest recycle rebates. Recycle rebates and equipment pad rent paid directly to each property. Direct contact to account manager 24 hours a day. PRECISION WASTE SOLUTIONS IS YOUR “ONE STOP SOLUTION” TO ALL YOUR WASTE AND RECYCLING NEEDS. Our family-owned-and-operated business offers fast, convenient waste removal and roll-off container services. We are fully licensed and insured to serve residential, construction and commercial waste removal needs. Clear away the debris, trash or waste from your home or business quickly and efficiently. Shreveport, LA Roll-Off Construction Dumpsters, Commercial Dumpsters,Portable Toilet, Temporary Fencing, Restroom Trailers, Septic Pumpouts, Potable Onsite Storage Rental and Curbside Waste Collection and Carting! www.awwaste.com 1(800) 477-0854. The City of Shreveport began the Just Curb It program in 2011 and is still going strong. Our program is unique in the fact that it is a Single-Stream Curbside Recycling system that requires each customer to put the recycling items in the cart provided for collection without requiring the customer to seperate them. This is an easier process for the customer. The recycling is picked up each week on the same day as the garbage and trash are collected, however there is a seperate crew for the collection of recycling. There is a small fee for recycling, of $2.50, that is added to the water bill of residential and commercial customers in Shreveport. The fee is used to cover the cost of collecting the recyclables and not for the processing or transportation of them. Recycling is good for the environment and will help offset the landfill operation if the people of Shreveport recycle. Current studies show that 70% – 80% of household trash can be recycled and by reducing the amounts going into our landfills we are helping to sustain our environment for future generations. Any items 1 through 7 on the recycling scale are collected in our Just Curb It program. A symbol, like the one pictured below, will usually be on the bottom of the container that identifies this item and which category it is in. To make things a little easier here is a list of what you can and can’t put in your blue recycling cart. In most cases recycling items are light but in the event you have a lot of books and or catalogs to recycle please remember not to exceed the 50 pound weight limit of your cart. If you are concerned that you may have more than this please contact our office and we will assist in finding a solution for your particular situation. The customer service representative will be glad to help you. Once service is established the resident will need to place their carts in a location that is visible from the street. The cart can not be in a garage/carport. The city provided cart must be used to containerize waste. Backdoor collection is for household garbage and recycling only; any yard waste or bulky items will have to be placed at the curbside. The City of Shreveport provides recycling services for businesses that have a small amount of recyclables. We do not have dumpsters, our customers are provided one (1) 64 gal. recycling cart, additional carts can be delivered upon request. There is no fee for additional carts. All items for disposal must fit inside your blue recycling cart, nothing outside or on top of the cart will be picked up. This includes items such as boxes and other bagged recyclables. 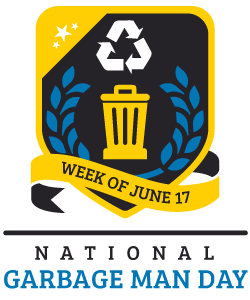 Once service is established the recycling must be placed at curbside in the city-provided wheeled cart by 7 a.m. on the day of collection and then removed from the curb by 10 p.m. on the day of collection. The City of Shreveport only collects garbage/trash/recycling for those that live inside the city limits. If you live outside the city limits here is some information that might be helpful to you. The Caddo Parish Public Works department operates a system of drop-off recycling and solid-waste stations in rural parts of Caddo Parish. 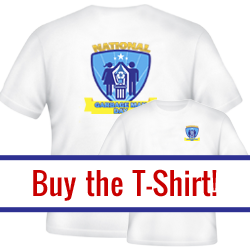 Call 318-226-6936 for locations and schedules of operation. The Bossier City Public Works department operates a recycling drop-off station at Tinsley Park. Call 318-741-8409 or 318-741-8461 for information on that center. On Time Waste Disposal, Inc.
You are free to choose any private waste hauler for your roll-off dumpster rental needs. The only requirements are that the hauler have a solid waste permit and a transporter number with the Louisiana Department of Environmental Quality. What items can and can’t be recycled? The City’s “Just Curb It” recycling program has been going strong since 2011. Local recycling facilities can handle a variety of recyclables, but not all. It cannot accept large items, such as furniture or appliances. It also doesn’t accept demolition/construction debris, yard waste, toys and more. Ask your dumpster rental provider about recycling bulk materials, such as construction and demolition debris, as many recyclers will accept this type of material. You can refer to the Shreveport Green website for more information about recycling and green initiatives in the area. Arwood Waste offers both front-load, rear-load, and roll-off commercial compactor dumpsters. With their heavy-duty construction and sturdy design, our dumpsters are ready for any industrial task, big or small. We can provide expert advice on placement, weight limits, hazardous material and other waste management issues. The experts at Arwood Waste can help keep your site up to the highest standards. Ask about our free waste analysis when you call (508) 570-2381. Do you have a room or garage space that is beginning to look like a junk yard? Is there a giant heap of yard debris on your lawn? A simple junk pickup can make a huge difference to your home’s appearance and value. Often we’re called to help residential homeowners clean their yards, attics, garages and basements as they prepare to display their home for sale. Other times, we’re called for junk removal from a home or office just prior to moving. We also remove landscape debris. There is never a need to leave your junk curbside. Arwood Waste will remove the junk from exactly where it’s located. Simply put, we come to your home, pick up your junk and haul it away. Our trained professionals will remove just about anything. Whether it be a remodeling project, an attic cleanout or just a messy garage, we will remove the unwanted junk and leave a clean space and peace of mind. At AW, our main priority is to reuse, recycle and donate your unwanted items. Call us today for a free estimate. Seattle, WA Roll-Off Construction Dumpsters, Commercial Dumpsters,Portable Toilet, Temporary Fencing, Restroom Trailers, Septic Pumpouts, Potable Onsite Storage Rental and Curbside Waste Collection and Carting! www.awwaste.com 1(800) 477-0854. How much does it cost to rent a roll off dumpster in Seattle? Dumpster rental prices in Seattle vary by the size of the dumpster, the type of debris, and the weight of the debris. Expect to pay about $200 for the delivery and hauling, plus $60 – $100 per ton of weight. The weight fee is calculated after the debris is weighed at the material recovery facility or landfill. The fee can fluctuate by whether the debris is recyclable or not. Recyclable debris is cheaper to dispose of than non-recyclable. Altogether, a dumpster with one ton of non-recyclable debris may cost approximately $300 plus tax. Add an additional $100 for each 2000 lbs. of non-recyclable debris. 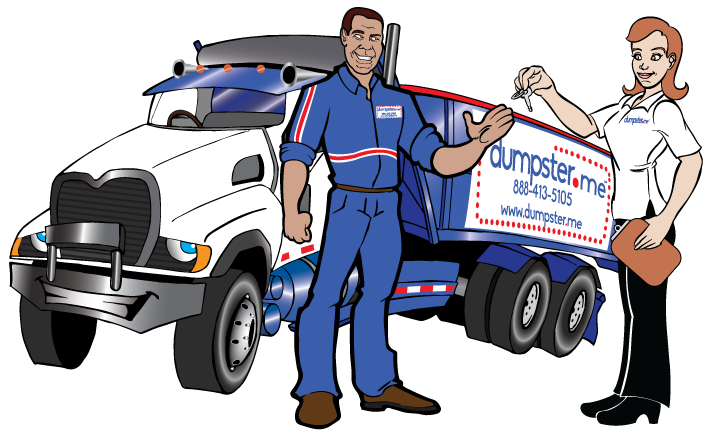 Call a local dumpster service to get an accurate price for your project. All residents and businesses of Seattle are required to have garbage collection service. The service is managed by the City of Seattle Public Utilities. Other areas in King County contract with private disposal services for regular trash pickup. Commercial dumpsters are 1-cubic-yard to 8-cubic-yard trash bins with lids. These are smaller than roll off dumpsters, which are “open top” and typically 10-yard to 40-yard capacities. Smaller commercial dumpsters are typically used by apartment complexes and small businesses like restaurants and gas stations. As of 2014, the contracted commercial dumpster haulers in the City of Seattle are CleanScapes, Inc. and Waste Management of Seattle. Your location determines which company serves your area. Serving Seattle, King & Snohomish Counties, including Algona, Arlington, Auburn, Bellevue, Black Diamond, Bonney Lake, Bothell, Brier, Burien, Buckley, Carnation, Clyde Hill, Covington, Des Moines, Duvall, Edgewood, Edmonds, Enumclaw, Everett, Federal Way, Fife, Gold Bar, Granite Falls, Hunts Point, Issaquah, Kenmore, Kent, Kirkland, Lake Forest Park, Lake Stevens, Lynnwood, Maple Valley, Marysville, Medina, Mercer Island, Mill Creek, Milton, Monroe, Mount Lake Terrace, Mukilteo, Newcastle, Normandy Park, North Bend, Pacific, Pyuallup, Redmond, Renton, Roy, Sea Tac, Seattle, Shoreline, Skyhomish, Snohomish, Snoqualmie, Sumner, Tacoma, Tukwila, Woodinville, Woodway & Yarror Point. We like making buildings go ka-boom! Arwood Waste of Scottsdale services all of our dumpsters, compactors and portable toilets through a partnership with Together Waste. From monthly, to weekly, to even daily pickup, you’ll find our service rates to be fair and affordable. And you’ll find our service experience to be exceptional! Everywhere people believe in moving forward. Along with being progressive, there is also a flipside. The efficiency rates, despite higher than before, are such that waste will always be generated. Dumpster rental in Scottsdale is the best way to deal with such needs. 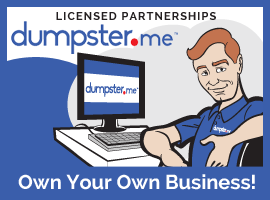 These services are very popular in most cities in Arizona and roll off dumpsters are the most common. Obviously, trash is created much quicker than it is disposed. This makes having a large sized dumpster in your vicinity very important. 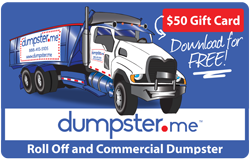 Dumpster rental companies in Scottsdale have made this possible. Roll Off Dumpsters of Scottsdale located in the middle of the state of Arizona is very popular in the region and have a good customer base. This dumpster company is based in Scottsdale but due to its efficient service, their area of operation is very widespread. The nearby cities like Phoenix, Avondale, Tempe and Mesa also come under the company’s radar. Their timely delivery and unmatched service make them the most favored dumpster rental in Scottsdale, Arizona and the surrounding areas. We make it our goal to provide roll offs rentals that are cost effective and reliable. Renting your roll off is guaranteed to be a hassle-free process beginning with either a simple phone call, or online request. Scottsdale, AZ Roll-Off Construction Dumpsters, Commercial Dumpsters,Portable Toilet, Temporary Fencing, Restroom Trailers, Septic Pumpouts, Potable Onsite Storage Rental and Curbside Waste Collection and Carting! www.awwaste.com 1(800) 477-0854. Scottsdale’s Solid Waste Division can provide a full range of refuse and recycling collection services for businesses, contractors and multi-family residential developments. Staff from Scottsdale’s Solid Waste Department can present to schools, individual classrooms, homeowners association groups, neighborhood groups, youth and service organizations about recycling, home composting, household hazardous waste and arrange tours of the city’s transfer station and the Salt River Landfill and Material Recovery (Recycling) Facility. If you are interested in more information or would like to schedule a presentation or facility tour, please call us at 480-312-5600 or contact us via email. Did you know that modern, mechanized residential trash collection was invented by city staff in Scottsdale? It’s true – standard practices around the nation and around the world started right here. Arwood Waste Savannah, GA Division offers a variety of roll-off and construction dumpsters that are ready to meet the needs of any-sized construction or demolition project. From a small renovation or landscape project to a new building constructions, Arwood Waste provides the right-sized dumpsters, a reliable waste hauling service and competitive prices that will keep the project on time and on budget. Arwood Waste offers purchase, leasing and rental options for a variety of roll-off dumpster sizes and styles, as well as waste hauling service and maintenance options. Construction dumpsters are priced on the size of the dumpster, the weight of the trash and the costs for hauling the waste. We offer purchase, leasing and rental plans to meet any construction or renovation need. Arwood Waste offers competitive pricing and superior service. Be sure to call Arwood Waste first at 912-882-1095 to get roll off dumpster rental prices or for any other construction dumpster and waste hauling needs in Savannah, GA. The experts at Arwood Waste can help review your construction, landscaping or remodeling project to make sure you have the size and service that will keep your construction site clean and orderly. On the job site, not only is having the right sized construction dumpster critical, so is having it positioned in the right way to make sure its easy to access and makes tossing waste and debris easy and convenient. If you’re in Savannah, GA and need a waste removal solution, call Arwood Waste today at 912-882-1095 to rent a dumpster today! Arwood Waste provides the most timely and efficient Roll-off service in the Savannah Market. We have the largest roll-off fleet in the area to devote trucks and drivers to your job. We can beat or match any competitor’s price. We have container sizes of 10, 20, 30 and 40 cubic yards depending on your needs. We also provide recycling containers for LEED and Earthcraft Projects, and we have the ability to use a local C&D recycling facility. Setting up service is easy, just call 800-477-0854 today! Truck / Vehicle – Atlantic Waste Services, Inc.
Savannah, GA Roll-Off Construction Dumpsters, Commercial Dumpsters,Portable Toilet, Temporary Fencing, Restroom Trailers, Septic Pumpouts, Potable Onsite Storage Rental and Curbside Waste Collection and Carting! www.awwaste.com 1(800) 477-0854. The Department of Refuse Disposal provides solid waste processing and disposal services for City of Savannah departments, residents of the City of Savannah, and paid subscribers residing in the unincorporated areas of Chatham County. Commercial waste, including waste generated from the management of rental property, is not accepted. The Department of Refuse Disposal reserves the right to reject any waste material which may be determined not to meet these criteria or which may be deemed by its characteristics to be unsuitable for handling at our facilities. The abiding strategy for handling the waste generated in the community is an approach known as management by component. Different types of waste such as garbage, demolition debris, yard waste, and scrap metal have different handling characteristics and are re-used, recycled, processed, or disposed of accordingly. Please note that you may be directed to more than one drop-off point within our facilities depending on the volume and types of material you bring. In order that we may handle your solid waste as efficiently and safely as possible, your cooperation is requested. Dean Forest Road Municipal Solid Waste Reclamation and Disposal Facility, located at 1327 Dean Forest Road, is available to City residents for the disposal of waste materials generated within their own domiciles. For the purpose of this policy, domicile is defined as a person’s fixed, permanent, principal home for legal purposes. Services are also available for paid subscribers residing in the unincorporated portions of Chatham County as outlined in detail below. Materials accepted from City residents include garbage, household recyclables, yard trash, and excess household dry trash. Commercial waste, including waste generated from the management of rental property, is not accepted. Tires can be accepted (no more than a total of four from the residence), The facility is closed on Sundays and City holidays. Bacon Park Transfer Station, located at 6400 Skidaway Road (south of Bonna Bella Avenue), is reserved for use by City residents only. Do I need a special permit to place a roll off container in the public-right-of-way? Yes, a dumpster permit is required, along with a $20.00 dumpster application fee. There are specific guidelines that must be met and followed regarding placement, the protection of the surfaces, etc. For more information regarding permitting or dumpster rental, please contact the Savannah Traffic Engineering Department. When I hire a private waste hauler to rent a container, will they take care of this permit for me? us to find out how our dumpsters and junk removal services can clear out that clutter in your home once and for all. Our objective at Arwood Waste is to make junk removal a fast and hassle-free experience. We can drop off an appropriately sized garbage container at your location and pick it up whenever you’re ready to have it removed. When it comes to rubbish removal, everyone’s needs are different, so we never resort to a one-size-fits-all approach to junk pickup. We’ll discuss your garbage removal needs with you, determine your requirements, and provide you with an economical trash disposal container for your purposes. When you choose Arwood Waste, LLC, you’ll not only save money and time on junk removal, but you’ll get the job done when it’s convenient for you, not when it’s best for us. For convenience, scheduling flexibility, and competitive pricing, we’re one of the best deals in town! Find out how our junk removal services can help you. Whether you want your junk removed tomorrow or at a later date, we’ll work with you to make sure the timing of our junk pickup gives you the leeway you need. We’re an extremely flexible rubbish removal service, for your convenience. With the exception of vehicle batteries and tires, we have the capability to provide rubbish removal for just about any kind of junk on your premises. Give us a call today at Arwood Waste, LLC, for junk hauling jobs both large and small. Our goal is to provide fast and effective garbage removal service to help you deal with cleanouts, renovation waste, and more! Arwood Waste of Sarasota services all of our dumpsters, compactors and portable toilets through a partnership with Together Waste. From monthly, to weekly, to even daily pickup, you’ll find our service rates to be fair and affordable. And you’ll find our service experience to be exceptional!